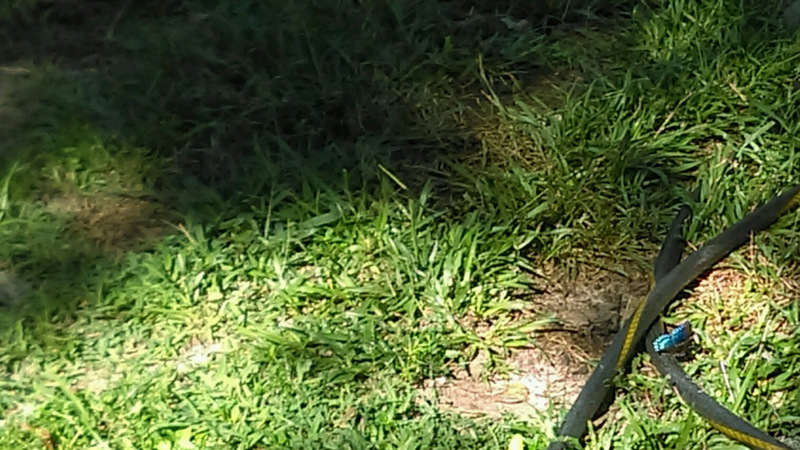 One week ago today I was doing my pool exercises when I saw something so very extraordinary I took a calculated risk to retrieve my cell phone from the buggy it rests in without disturbing the amazing sight. 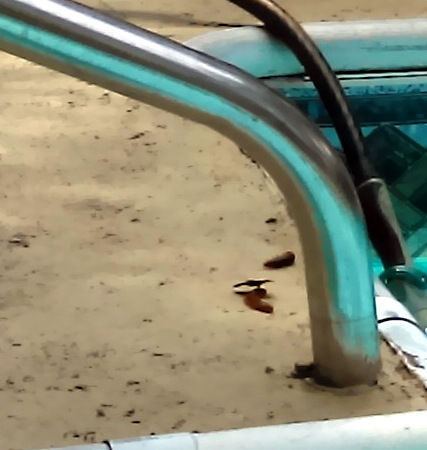 The carcasses of two recently deceased caterpillars lay next to the steps where I entered the pool every day. I scarcely paid any attention to them when I moved down the steps and into the water. After all, the bodies of caterpillars that were casualties of the chlorine were common and a dime a dozen, weren’t they. 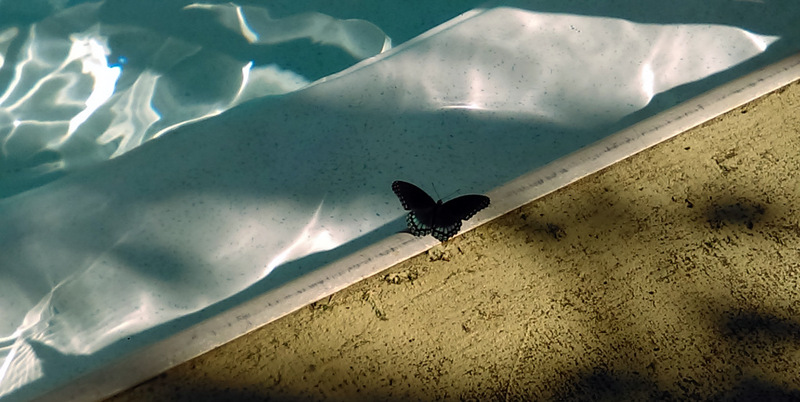 I also paid very little attention to the small dark colored butterfly that flew around me in wide circles for about 15 minutes until it came to rest on one of the caterpillar bodies lying on the cement next to the pool steps. I was so startled at the sight that I stopped my pacing to watch as the butterfly established a kind of rhythm – opening and closing its wings while it moved its legs back and forth across the dead caterpillar. I felt like I was an intruder in a private ritual of grief reserved for these tiny creatures that made our human tears a poor substitute. And then I began to think the butterfly didn’t fly away from me because it sensed my shared sorrow. Today, exactly one week later, I was on the last leg of my routine early morning walk around the pool when I saw this remarkable sight. What I learned was a powerful lesson about the importance of all creatures great and small, the individuality of grief, the exquisite beauty in hope embraced by a spirit willing to take flight following great loss. This entry was posted in Lesbian Literary, Life, Personal, photography, politics, racism, Random, Reflections, Slice of Life, The Way Life Is and tagged butterflies that mourn. Bookmark the permalink. Aren’t butterflies amazing teachers? They are like ambassadors to the world of bugs. Through them, if we’re open to it, we see an amazing alien world of tiny beings. Your butterflies are beauties. Ann, yes. I skipped over so much during my rush to real life. The butterflies are beautiful. Thanks for reading. This really resonated with me, as I have always kind of believed that butterflies are little spirit guides. These ones have taught us that grief transcends all barriers! Such a beautiful post Sheila. Thanks so much, Little Binky and Granny! We wish you a special week, too!! Wow, so powerful!!! I hope all is well? Thanks so much, Luanne…all is well…just having a crisis of confidence in my writing lately. I’m sure it will pass…I always appreciate your support!